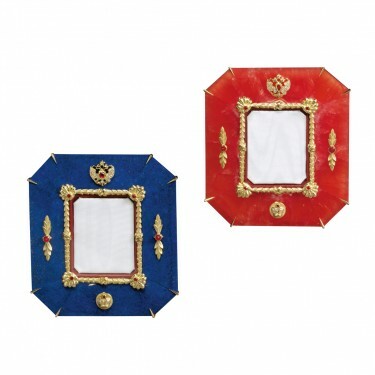 In remembrance of the Imperial Family and the Romanov Dynasty, Theo Fabergé has designed two exquisite picture frames, hand carved from lapis lazuli, an azure blue mineral, and beautiful rhodocrosite, a rose red stone with a soft pearl lustre. 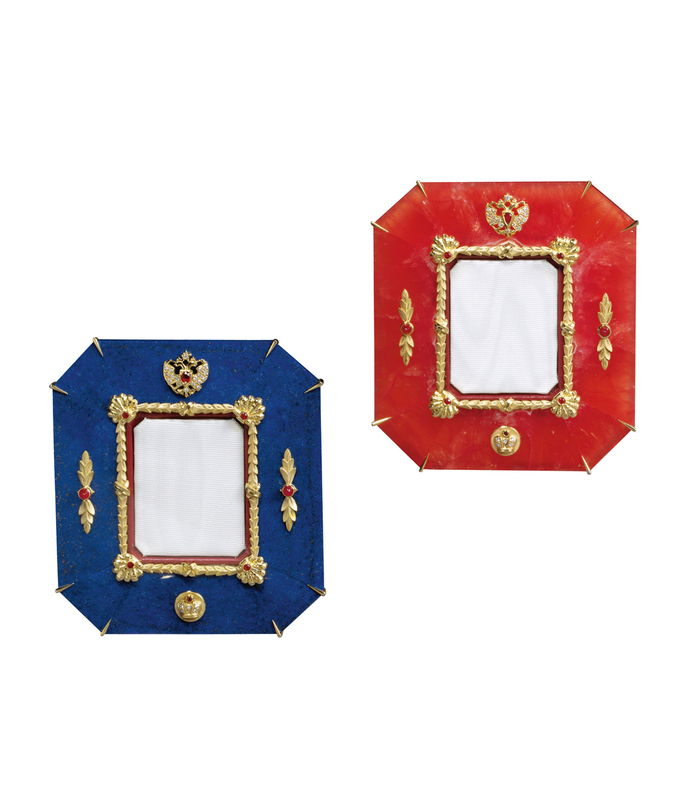 Each frame, a lapidary masterpiece, is detailed with solid 18 carat gold. Adorning the top of the frame is the double headed eagle, the crest of the Romanov Family, its two heads looking to east and west, symbolising the Russian Empire spanning two continents. Below the aperture is the Romanov Crown. Both the crest and the crown are set with faceted rubies and diamonds.